La Traviata is the most popular of Verdi’s twenty-eight operas, the nineteenth in his operatic oeuvre. It vies with Mozart’s Magic Flute as the most performed opera. Yet it was a fiasco at its premiere as I explain in the appendix to this review. It was premiered at La Fenice, Venice on 6 March 1853, a mere six weeks after Il Trovatore at the Apollo, Rome. This clash of compositional and production supervision arose because of the delay in completing Il Trovatore following the death of Cammarano, its librettist, before he had completed his work. Consequently Verdi composed parts of both operas contemporaneously; quite a challenge as well as a considerable achievement considering the difference in key and orchestral patina between the two operas. As I also note in the appendix, Verdi wanted his new opera to be set and costumed in the period of its composition thus giving maximum dramatic effect to the lifestyle, morality and mortality of the demi-monde prostitutes. In this desire he was thwarted at the Venice premiere. These days those wishes are hardly relevant for contemporary directors. With producer concept and Regietheater assuming dominance it is often the norm to update the action to various periods up to the present day, as is the case here. Fortunately, updating need not mean exchanging the opulence of the parties given by Violetta and Flora nor the costumes. Further, the plot of La Traviata gives no justification for waving Armalite or Kalashnikovs around, instead of swords as is often the case so that even a traditionalist like me can sit back and listen to Verdi’s divine music and the singing of the soloists, if they are up to Verdi’s demands that is. In this performance Venera Gimadieva certainly has the figure du part and looks quite stunning in her dress for the party. Her warm soprano is full-toned yet capable of the extended flights of coloratura and vocal flexibility. These qualities are required in particular for the demanding finale of act one, E strano…Ah, fors’e è lui (Ch.6) and Follie … follie! (Ch.7) which concludes with a strong pure high note. She acts well and her diction and vocal characterisation is good throughout, needing only a little more meaning in her eyes to complement the other acted virtues of body language and vocal nuance. In act two she is up to matching Germont’s pressure and concedes his demands with vocal grace. Unaccountably, she is excused the verse of the letter reading that really demands the utmost vocal skill by having the words of the letter read by Germont not sung by her (CH.24). Nor is she required by the staging to give full vent to Violetta’s death or the poignancy of the passing of a photo of herself to Alfredo for his future bride (CH.28). As Alfredo Michael Fabiano uses his pleasant lyric voice to good effect in terms of phrasing, good diction and the capacity to caress a phrase. If not in the Bergonzi class his is a vocal characterisation of class. As his father, Tassis Christoyannis brings to the role steady singing along with convincing acting. Like the other two principals his diction, vocal characterisation and acting are all good. He also, unlike them gets the second verse to his cabaletta. I have touched upon the staging. Tom Cairns plays it very simply and straight. He is not successful with the opening as Violetta is seen, just about during the prelude (CH.1), on an excessively dark stage lying on her bed. This is an allusion to her death bed in act three perhaps except that she is dressed in party gear. This excessive darkness of the staging is also a feature of act three. I did not like his take on the toreador dances of act two scene two at Flora’s party (CH.18) where the music is played to a palm reading of the future by dancers dressed as Spanish ladies under the supervision of a rather less than elegantly built Madam. Likewise the playing of a juvenile game of blindman's bluff (CH 18) that precedes Violetta’s arrival. These distractions are matched by lack of attention to detail such as Alfredo running off to Paris to sell possessions in his bare feet. Then there's Germont sitting whilst Violetta stands in their act two confrontation; even in this generation of indifferent manners a gentleman would not do that I suggest. As to the musical side, I am a great admirer of Mark Elder, especially in Verdi. In my review of the Hallé Orchestra’s Verdi bicentenary concert I described his conducting as inspirational (review). Conducting without a score he paces the drama superbly whilst giving the singers every support. He does indulge himself a little in the preludes, milking the motifs that bring tears to the eyes. The lesser parts are all well taken whilst the vibrant chorus are a delight. As is usual with Opus Arte these days the booklet contains no Chapter listing or timings. Even before this opera — the last staged from Verdi’s great middle period trio of Rigoletto, Il Trovatore and La Traviata — the composer, his fame assured, could, both artistically and financially, have afforded to relax. Giuseppina, his partner and later wife, appealed to him to do so. His artistic drive allowed no such luxury. Whilst on a visit to Paris where the two enjoyed their life together without the intrusions at Busseto, the composer had seen, and been impressed, by Alexander Dumas fils’s semi-autobiographical play La Dame aux camélias based on the novel of the same name. The subject appealed to Verdi, but he recognised that it might bump into problems with the censors. Even before the choice of subject was made it was decided that Piave, resident in Venice, was to be the librettist for the new opera for the Teatro La Fenice. Verdi put off the choice of subject until the autumn, constantly worrying the theatre about the suitability of the available singers. The theatre in their turn wanted to get the censors' approval of the subject to satisfy their own peace of mind. Piave produced at least one libretto that Verdi turned down before he finally settled on Dumas’s play. La Traviata was the most contemporary subject he had ever set, embattled as he constantly was by the restrictions of the censors, something that Puccini and the later verismo composers never had to face. Having spent the winter worrying about the suitability of the soprano scheduled to sing the consumptive Violetta, Verdi was also upset that La Fenice decided to set his contemporary subject in an earlier period thus losing the immediacy and relevance that he intended. Verdi was correct in worrying about the censors and the whole project was nearly called off when they objected. As to the singers, all went well at the start and at the end of act I, with its florid coloratura singing for the eponymous soprano. Verdi was called to the stage. The audience was less sympathetic about the portly soprano portraying a dying consumptive in the last act and they laughed loudly. The tenor singing Alfredo was poor and the baritone Varesi, who had created both the roles of Macbeth and Rigoletto considered Germont below his dignity. He made little effort. Verdi himself considered the premiere a fiasco. He did, however, compliment the players of the orchestra who had realised his beautifully expressive writing for strings, not least in the preludes to acts I and III. Although other theatres wished to stage La Traviata, Verdi withdrew the opera until he was satisfied that any theatre concerned would cast the three principal roles, and particularly the soprano, for both vocal and acting ability. The administrator of Venice’s smaller San Benedetto theatre undertook to meet Verdi’s demands. He promised as many rehearsals as the composer wanted and to present the opera with the same staging and costumes as at the La Fenice premiere. Verdi revised five numbers in the score and on 6 May 1854 La Traviata was acclaimed with wild enthusiasm in the same city where it had earlier been a fiasco. Verdi was well pleased by the success but particularly by the circumstances and location. 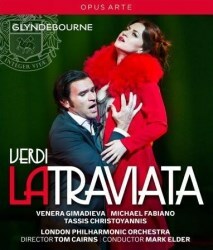 La Traviata is now recognised not merely as one of Verdi’s finest operas but one of the lyric theatre's biggest hits. The role of Violetta has many vocal as well as acting challenges. The American diva Renée Fleming, reigning queen of the Metropolitan Opera, contends that it is the perfect role in the entire soprano lexicon and that by which most sopranos have, historically, been measured. She suggests each act requires a different voice, passing from the coloratura of the first through the lyric emotion of the second to a more dramatic voice for the traumatic third act. The story of La Traviata is both stark and bleak and not that unusual in the demi-monde of France’s Second Empire. A young woman uses her beauty to earn a living. She lifts herself from the overcrowded squalor of her childhood into a socially more affluent and elegant milieu by making herself sexually available to the highest bidder. But she has brought from her earlier life and living conditions the disease of tuberculosis. She knows that she has the disease and what the inevitable outcome will be; it’s a question of when not if, and as if that is not enough she recognises that it will end with her back where she started, in abject poverty. The singer of the role must be capable of encompassing Verdi’s demands histrionically as well as vocally. A big challenge indeed, perhaps most famously met by Maria Callas at La Scala in 1955 in a production directed by Visconti. Other worthy interpretations include Renée Fleming herself in San Francisco alongside Villazón and Bruson (review) and at Covent Garden in 2009 with Calleja and Hampson (review), all noteworthy vocal and acted portrayals. Other notable assumptions have been by Angela Gheorghiu at Covent Garden in 1994 (Decca DVD 074 390) and in 2007 at La Scala, the latter in a most sumptuously costumed and staged performance (Arthaus Musik Blu-ray 101 342). These have made it onto visual media and have virtues. Anna Netrebko, alongside an athletic Villazón, are excellent in Willie Decker’s imaginative production in updated costumes seen at Salzburg in 2006 (review). This staging is now available in Blu-ray format as part of a reduced price triple issue including La Bohème and The Marriage of Figaro, all involving Anna Netrebko and recorded live at the Salzburg Festival (review).